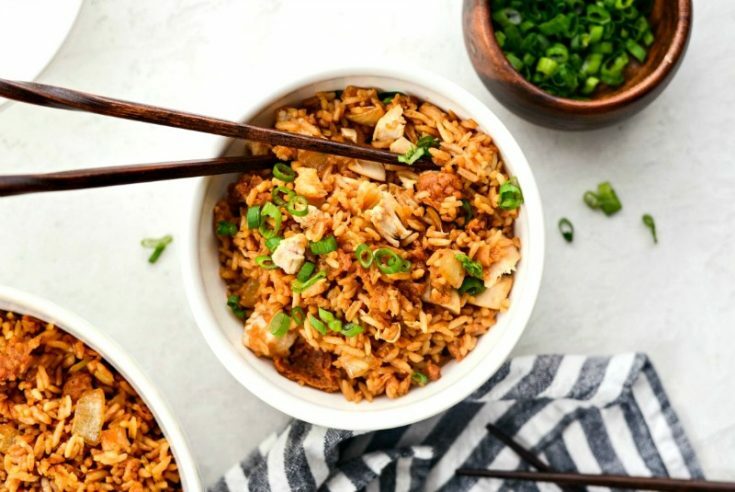 Crispy Fried Chicken Fried Rice is exactly that. 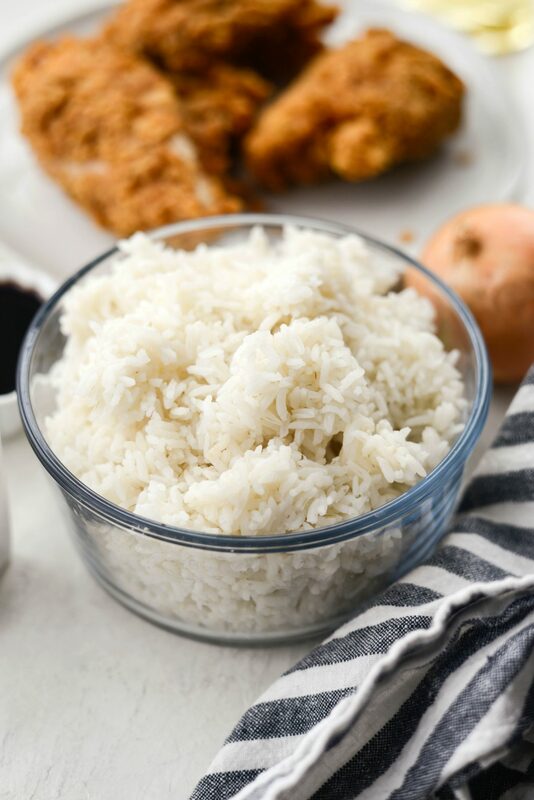 Leftover fried chicken and white rice is tossed together with stir-fried onions and tamari, hot sauce and Worcestershire sauce for a simple and DELICIOUS fried rice recipe. Yields 6 cups in about 20 minutes. Crispy. Fried. Chicken. Fried. 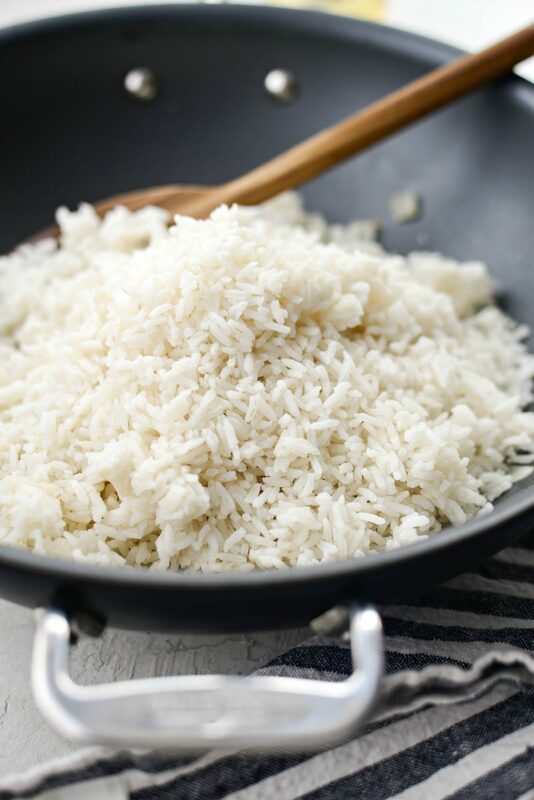 Rice. Yes! It’s a thing! 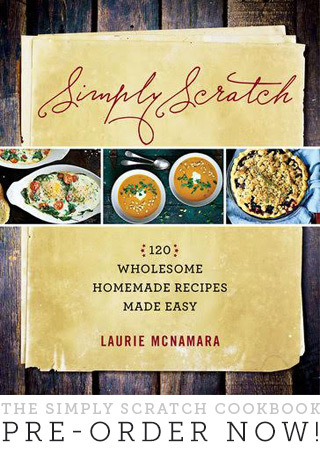 And I’ve loved this recipe since I was a teenager. 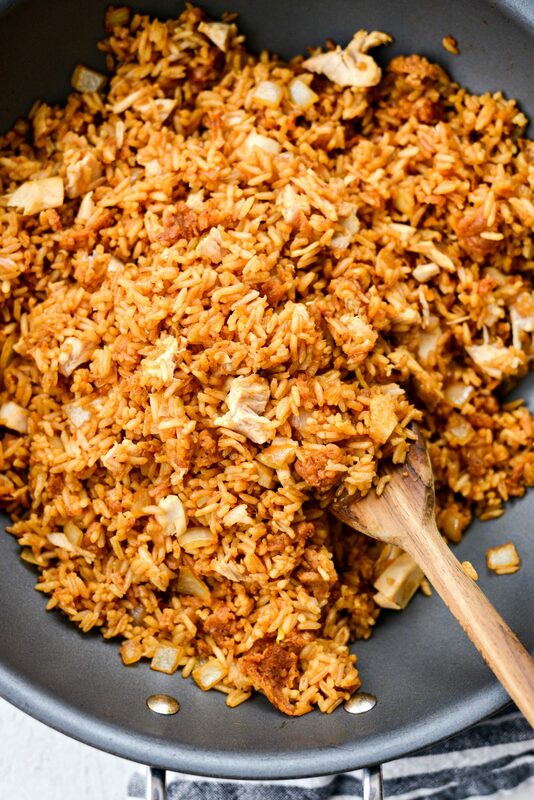 My mother-in-law is the brains behind this deliciously spicy fried rice recipe. I remember sitting in her kitchen many times watching her make this and now I only hope that I’ve watched enough times that I got this right. I spent most of my teen years at my in-laws. 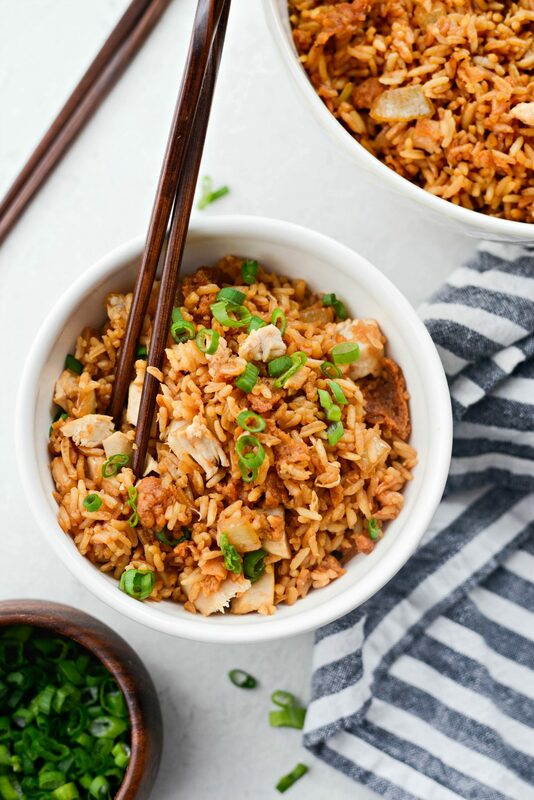 So often that I knew that if we had fried chicken for dinner, there was a good possibility Brenda would be making her fried rice recipe the next day. 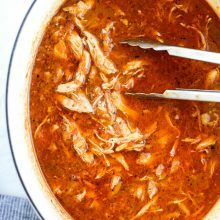 Of course, my MIL never needed to measure anything, she’s made it enough times that she’s able to throw it in a hot skillet and do everything to taste and by feel. She also didn’t have a name for her recipe, it was simple “her fried rice”. But I think this title aptly describes it. 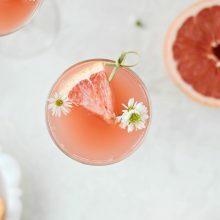 Going from my memory I jotted down everything I remembered (I mean it’s only a few ingredients and I could have just called her, but what’s the fun in that?) and I felt pretty confident. According to Pat, I nailed it. Although, he said he’d add more hot sauce to his because he likes his spicier.  Story of my life. Here’s what you will need; leftover fried chicken, depending on the size you may need 2 to 3 pieces. 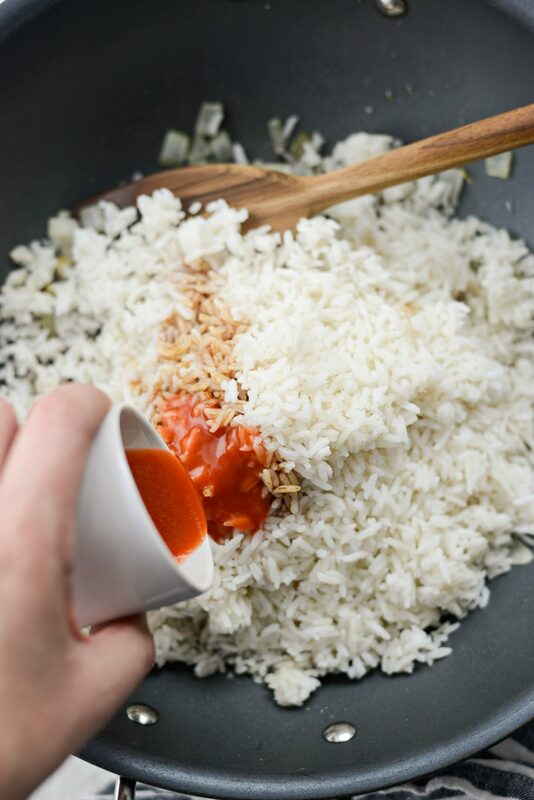 You will also need leftover cooked white rice – about 4+ cups, olive oil, 1 small yellow onion, 5 tablespoons low-sodium tamari, 3 tablespoon Frank’s Red Hot hot sauce and a splash or two of Worcestershire sauce. I obviously didn’t make fried chicken. A big pot of hot oil scares me. PLUS my mother-in-law never made it either and I need to stay true to her recipe. 😉 With that said, I used leftovers from carry out the night before and I don’t feel bad about it. 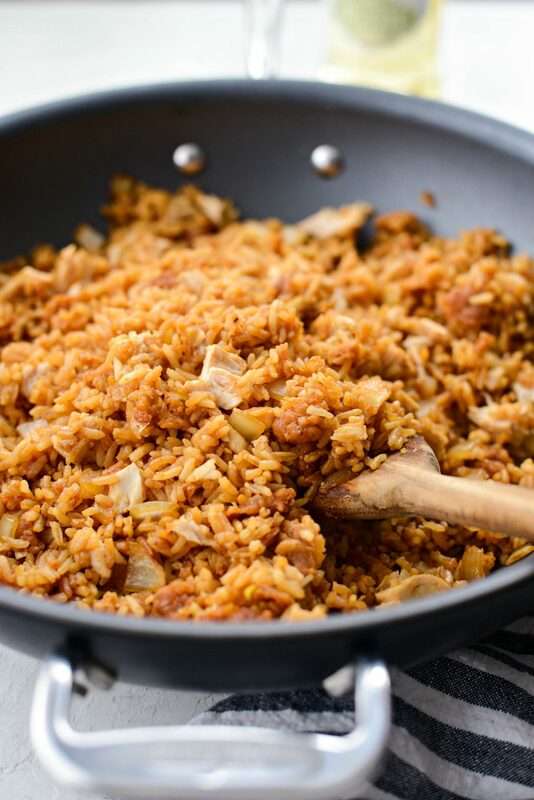 Why is it important to use precooked rice to make fried rice? Great question! 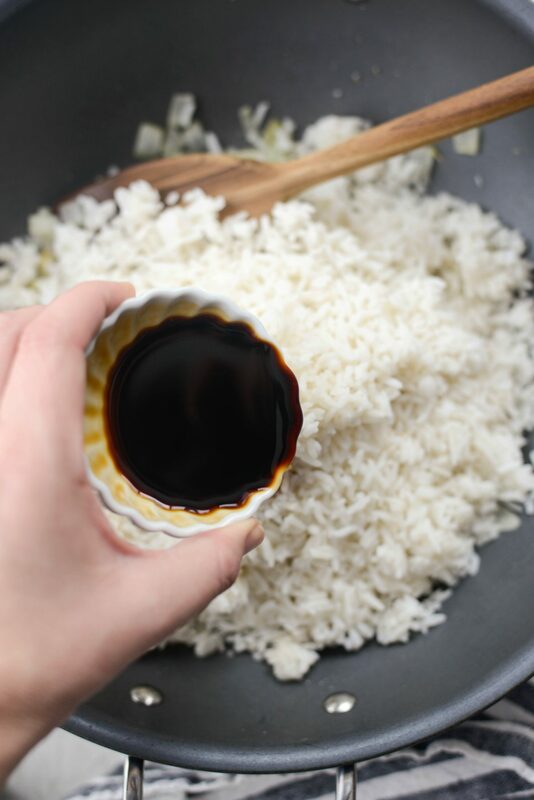 If you were to use fresh rice, it would be too soft and wet, so the fried rice risks becoming mushy. Now, rice that was made a day or two in advance, is firmer a little more dried out (if you will) and BEST for making fried rice. Trust me. First, start by peel the skin and meat off of the bones and give it a dice. YES both the meat and the crispy chicken skin. You want at least 1-1/2 to 2 cups. Really just eyeball it, there’s no way you can screw this up. 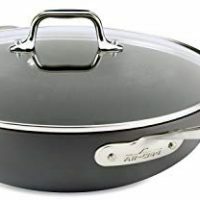 Next, heat 1 teaspoon light olive oil in a large (deep-sided) chefs pan or wok on medium-low. Add in the onion with a pinch of kosher salt and stir. Cook until the onions are translucent and soft. Once the onions are soft, add in all of the leftover white rice. 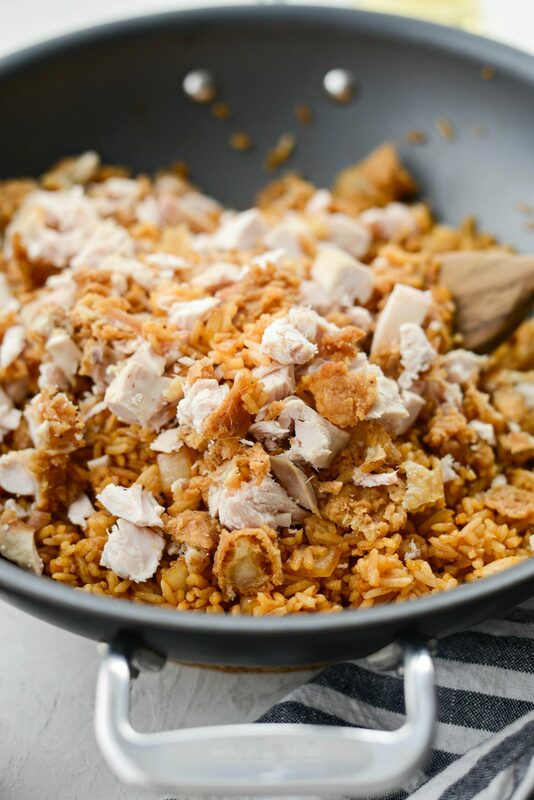 Next, add in all the chicken, toss to combine and then press the fried rice flat into the pan and cook for 30 to 45 seconds or until the underneath gets deeply golden and crispy. 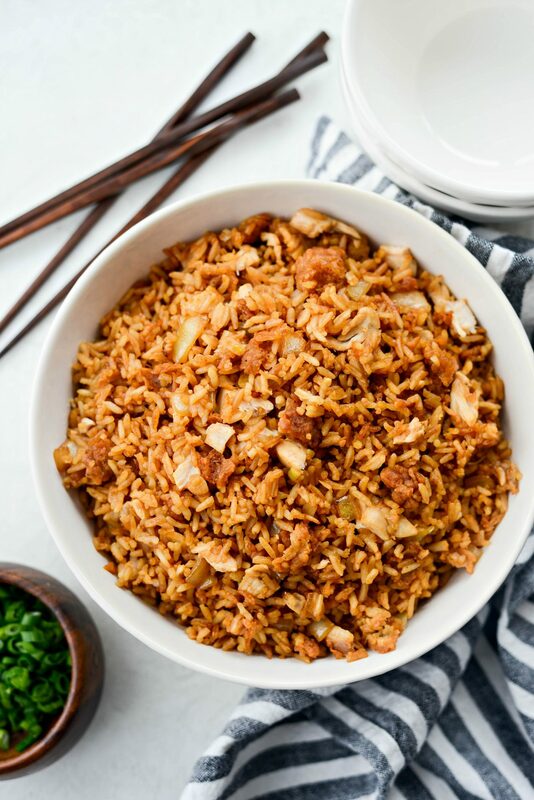 That’s really all it takes to make this crispy fried chicken fried rice! 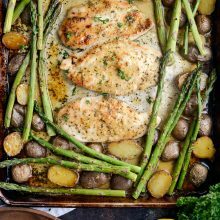 It’s ridiculously easy and incredibly delicious. 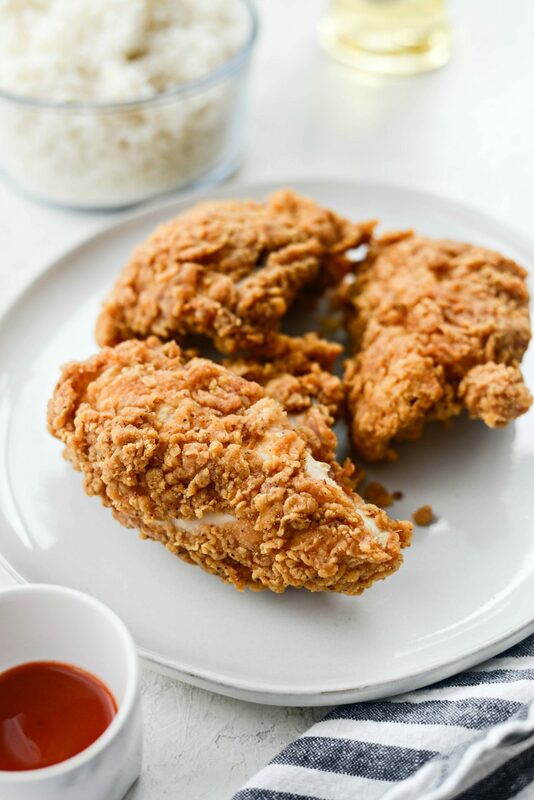 The flavor is pure perfection; a little spicy from the hot sauce along with the spices from the crispy chicken skin — it’s everything. I could make a meal out of this fried rice. In fact, I have. Lastly, sprinkle the fried rice with sliced green onions. 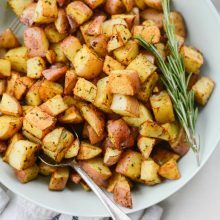 This part is my addition to her recipe, because I like the freshness it adds. 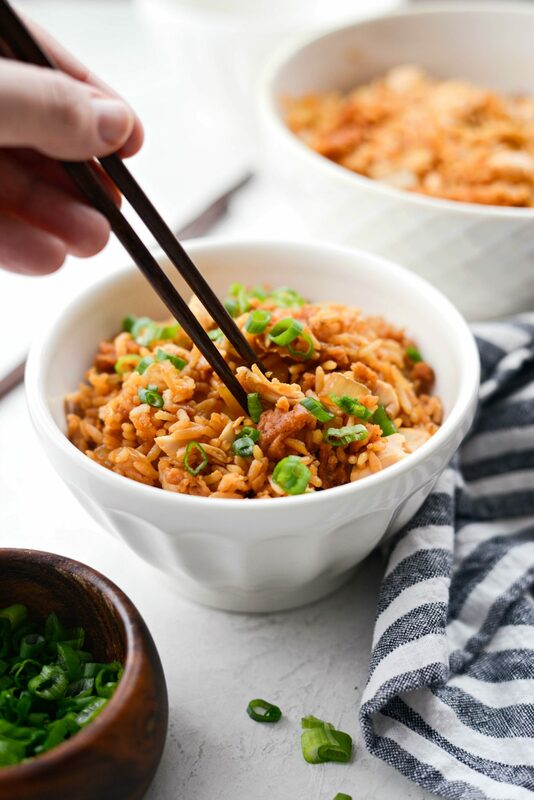 Although not your traditional fried rice recipe, which is exactly why I love it so much, it is SO easy and tastes of my teenhood. 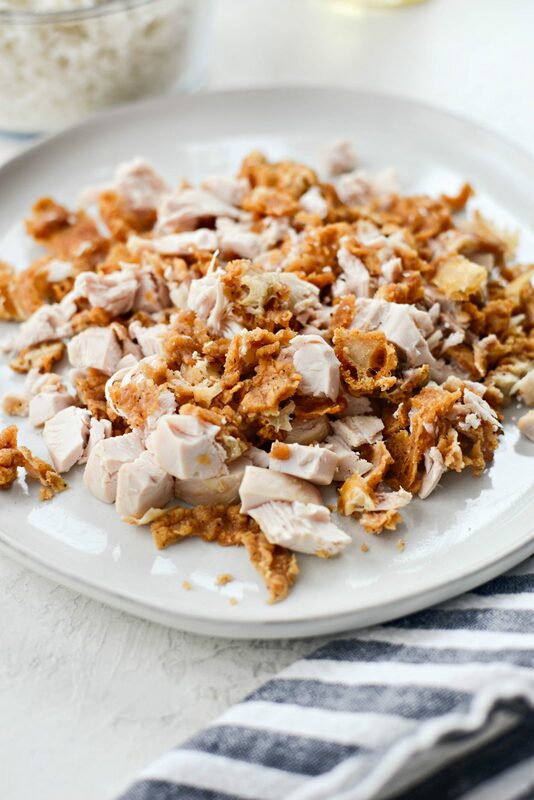 If you ever have leftover fried chicken, please please make this recipe. Enjoy! 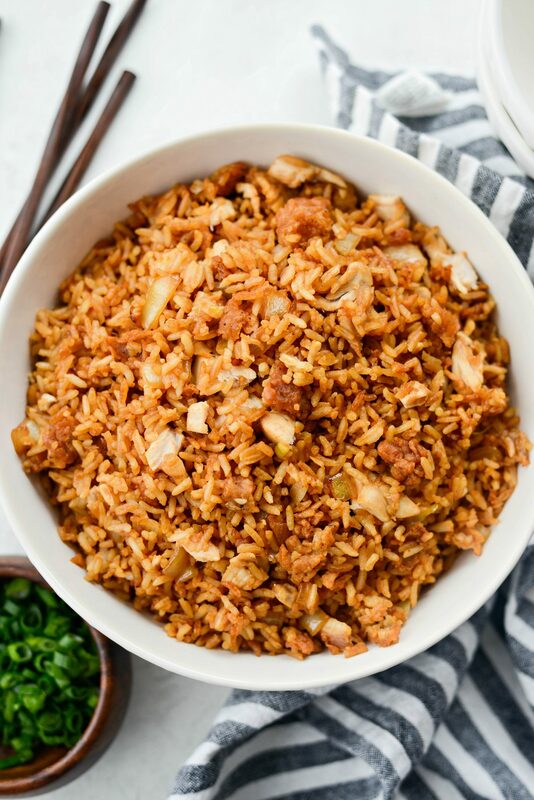 And if you give this Crispy Fried Chicken Fried Rice recipe a try, let me know! Snap a photo and tag me on twitter or instagram! 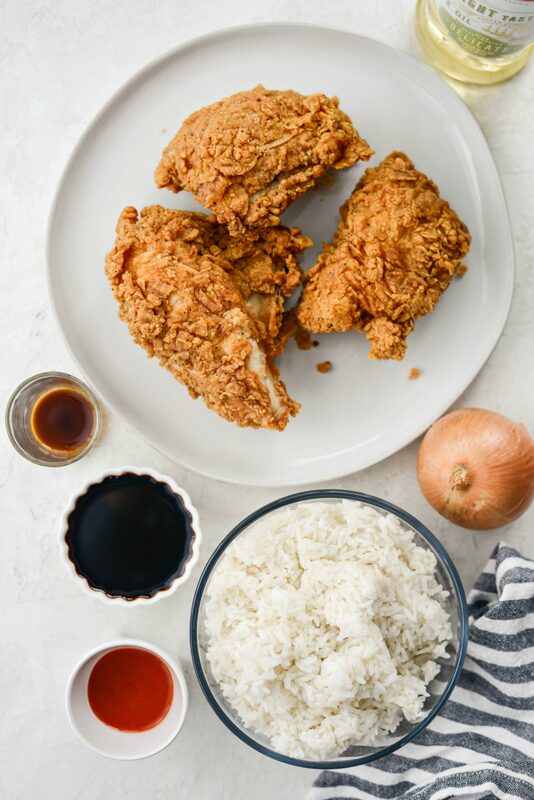 Leftover fried chicken and white rice is tossed together with stir-fried onions and tamari, hot sauce and Worcestershire sauce for a simple and DELICIOUS fried rice recipe. Yields 6 cups in about 20 minutes. 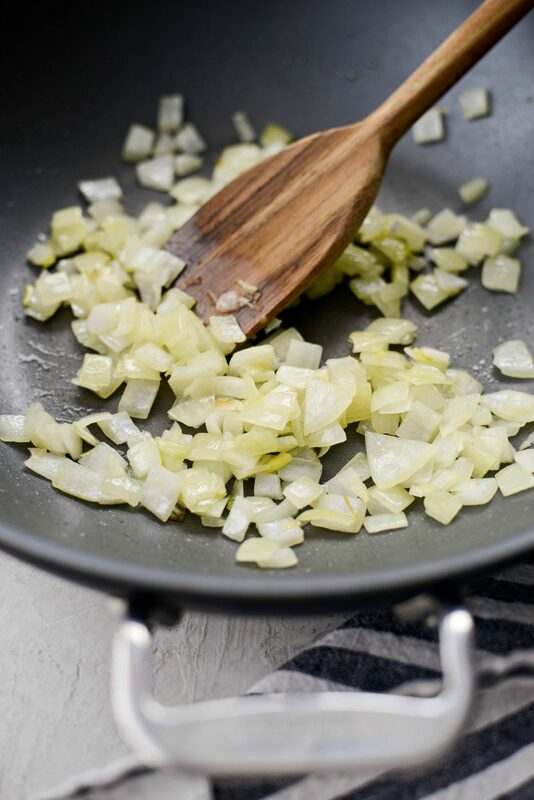 Add oil to a large chefs pan or wok and heat on medium heat. 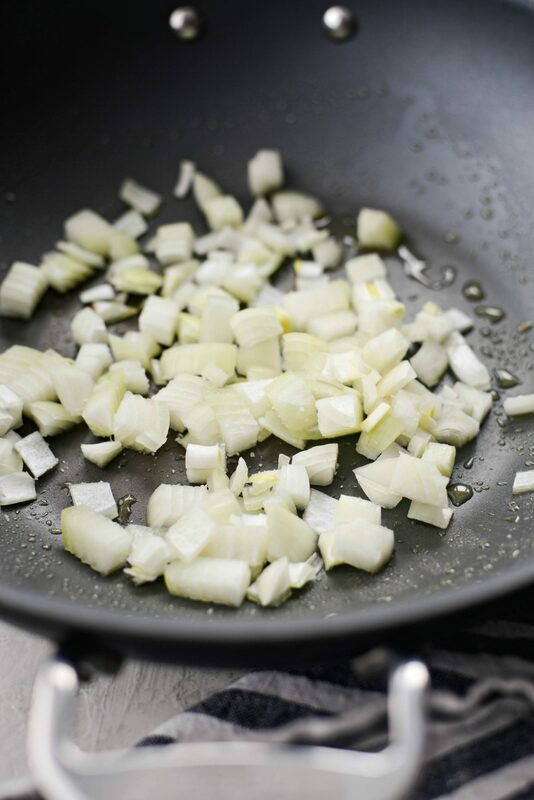 Add onions with a pinch of salt and cook until soft and translucent, stirring often. 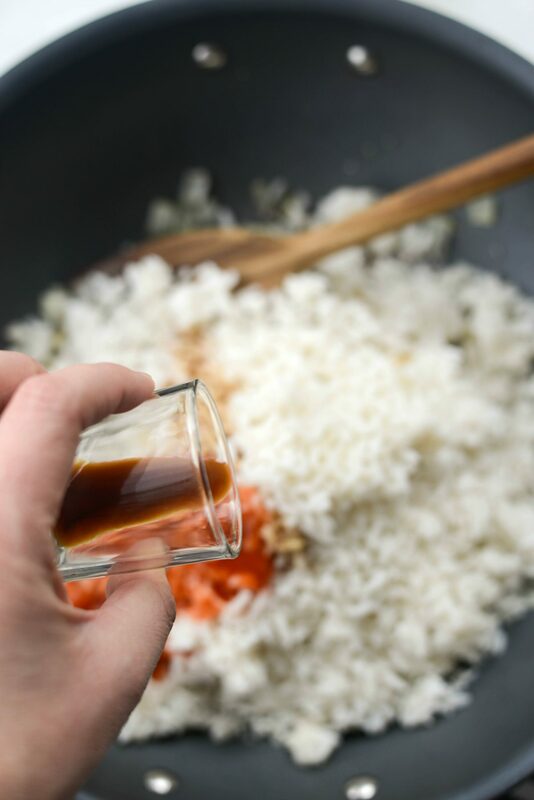 Increase the heat to medium-high and add in the rice, tamari, hot sauce and Worcestershire sauce. Add in the diced fried chicken (with the crispy skin) and toss to combine. Spread in an even layer, pressing into the pan. 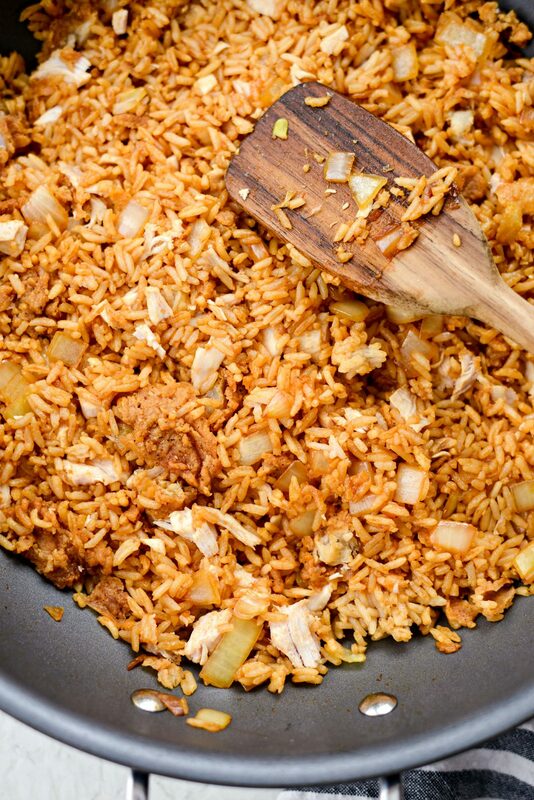 Let this cook for 30 to 45 second or until a crust forms on the bottom of the rice. Toss and repeat 1 to 2 more times. Taste and add more hot sauce if desired. 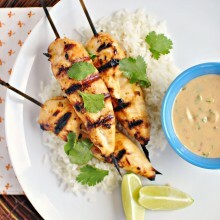 Serve with sliced green onions. It’s phenomenal!! And SO easy too! You sure did me great honor here Laurie! Great job. Looks so good. 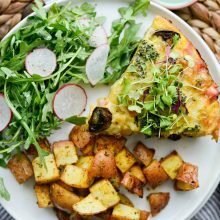 I love the addition of green onions. I’m so glad you approve! We LOVE it and you!